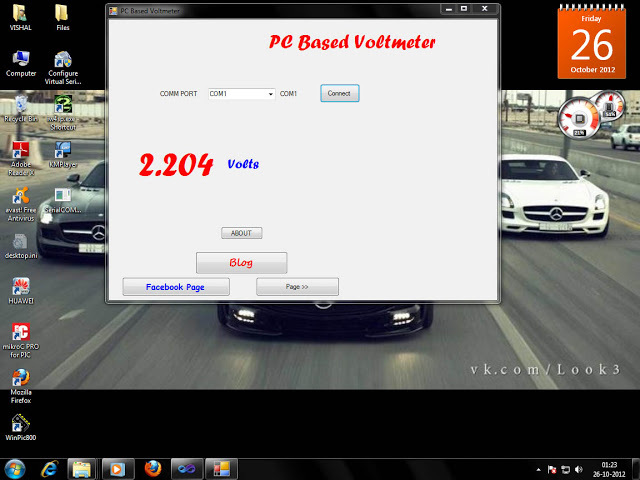 This is a simple voltmeter which measures 0-5V at a precision of 4.8 mV. This is a simple design using inbuilt ADC of PIC 16F877A. PIC 16F877A have 8 channel 10bit ADC. This is a computer interfaced project. Measured voltage is output in serial interface software in computer. There is a serial interface circuit (MAX232) is necessary for interfacing with computer, which is not included in the circuit. Please check PIC Serial Communication Tutorial (UART) for the circuit and more details. 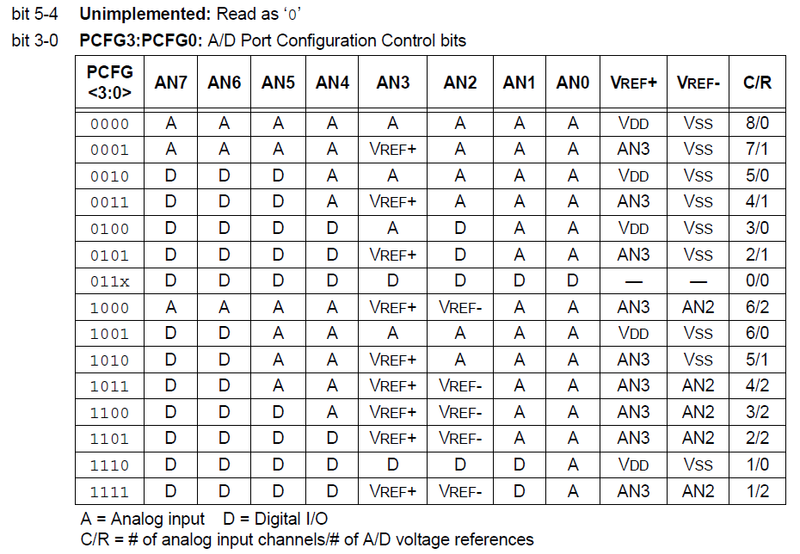 Using one of the most popular 8 bit PIC 16f877A, for instance, reading the datasheet, we'll find that the ADC modules (10 bit) are controlled by four different registers. The first two, ADCON0 and ADCON1, are used to set and start the ADC module. When high level language is used, the programmer doesn't need to care a lot of the register connected to the results because they are normally stored in a variable by a routine of the language itself (adc_read, for instance, using mikroc). As we can see this registers are 8 bit registers where. - bit6 and bit 7 are used to set the frequency of the conversions. 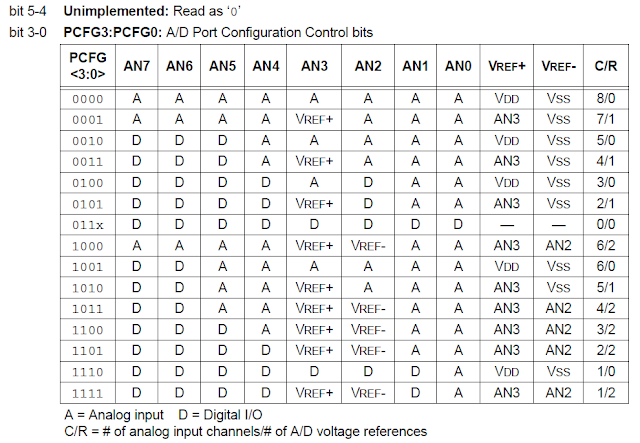 - bits 3, 4 and 5 are used to select the pins of the microcontroller enabled to the adc conversions. - bit 2 represents the status of the conversion procedure. - bit 0 starts the conversion. = 4.8828 mV It means that for a change in 4.8828mV, the binary output changes by 1. ADC module of PIC Microcontroller converts the Signals on its analog pin to 10 bit binary data and it has software selectable high and low voltage reference input to some combination of VDD, VSS, RA2 and RA3. The analog input to PIC is limited to 0 to 5. The converted value is in mV. It is then converted to volts and characters to send to serial port. Normal hiperterminal application can be used for reception. Comments are given in program to easy understanding.